Dive headfirst into the island life and soak up the beautiful views of the Gulf of Mexico from your Waterfront Double Queen Guest Room. Feel the sand between your toes on your white sand terrace. Sink into two plush queen sized beds after a day of soaking in the sites, the sun, and of course, the sunset. 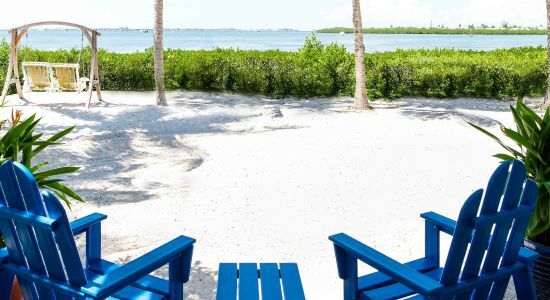 Breath in the island breeze while you’re surrounded in tropical flowers, wild mangroves, and palm trees. This spacious room located on the ground floor just steps away from our glimmering pools is your one way ticket to paradise.